Buying local is never a bad idea, and one that Alberta natural-gas end users are taking to heart. In 2017, Alberta used more than half of its natural gas production, with the rest being exported. The oil sands sector was the largest source of provincial demand, accounting for more than 30 per cent, due partly to recovery from the 2016 Fort McMurray wildfires and a number of projects that are either starting up or increasing production and that need energy and heat for power and steam. The Alberta Energy Regulator forecasts that this provincial demand for natural gas will grow annually by an average of 2 per cent for the next decade. Where else does the gas go? 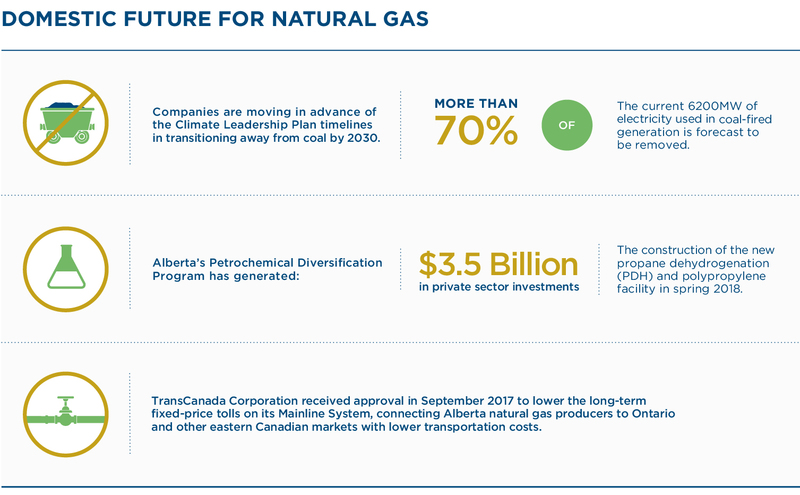 Here are some of the other ways Alberta is creating its own demand for our natural gas.